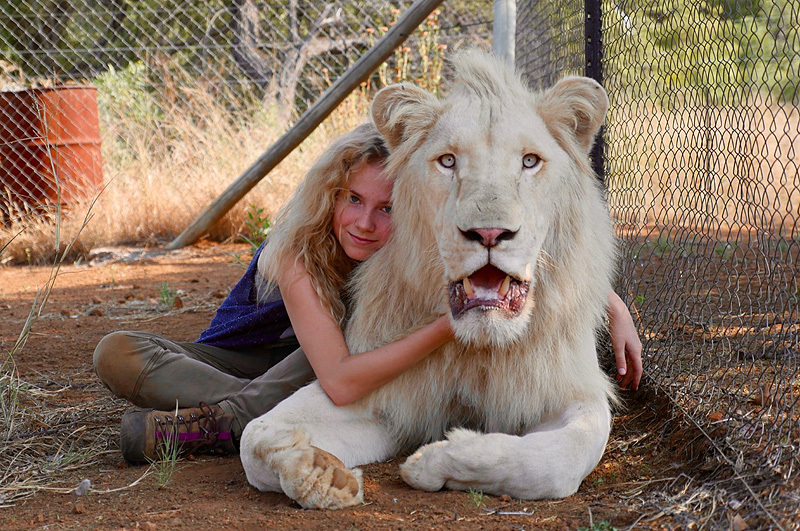 Ledafilms Entertainment Group has provided ComingSoon.net with an exclusive clip from Mia and the White Lion, which was filmed over the course of 3 years so that the actors in the film could develop real relationships with the lions. All shots are practical, there is no CGI or any special effects. Check out the clip in the player below! Ten year old Mia has her life turned upside down when her family decides to leave London to manage a lion farm in Africa. When a beautiful white lion, Charlie, is born, Mia finds happiness once again and develops a special bond with the growing cub. When Charlie reaches three, Mia’s life is rocked once again as she uncovers an upsetting secret kept hidden by her father. Distraught by the thought that Charlie could be in danger, Mia decides to rescue him. The two friends set out on an incredible journey across the South African savanna in search of a sanctuary where Charlie can live out his life in freedom. Directed by Gilles de Maistre and written by Prune de Maistre and William Davies (How To Train Your Dragon, Puss In Boots), Mia and the White Lion opens in theaters on April 12. The post Check Out an Exclusive Mia and the White Lion Clip appeared first on ComingSoon.net.